I actually prefer half water and half milk when I mix up a Chai (and I'm crazy about my Chai). It seems to be just right that way. Not too rich. Just rich enough. I love this stuff! I mix it in with hot tea - delicious! What kind of tea do you mix it with, Kara? 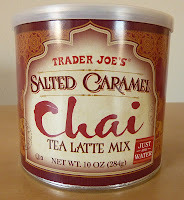 I dropped into my local TJ's today, and no salted caramel chai. Booooo!! You make it sound so yummy! I just use water and I think it's perfect and creamy as is. No need for the extra calories! I made it iced one day with 1% milk (after using hot water to dissolve the mix) and while I thought it tasted good, it was just too rich for me. There is non-fat powered milk and coconut oil in the mix itself, which gives it a nice creamy taste that I've had as a dessert many nights this winter. I wish this was a permanent product instead of a seasonal, because I'm hooked! I make it with regular black tea. Sometimes adding milk. 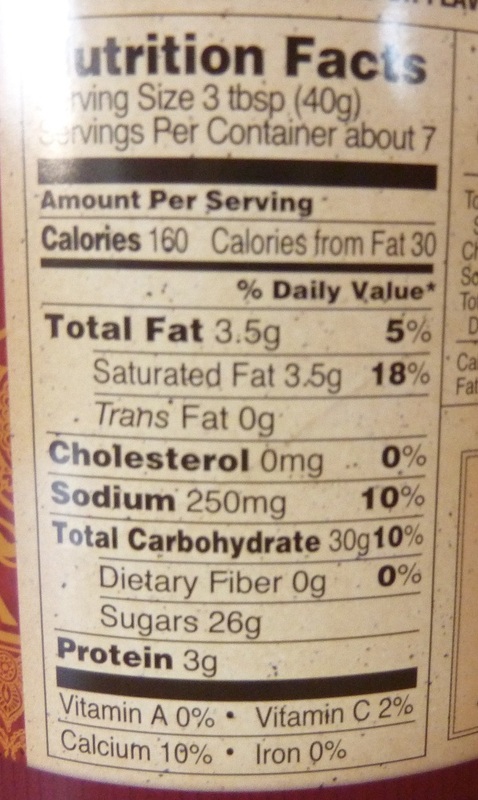 Nutrition facts are helpful, but the review would be most complete with an ingredients list, and pricing at the time of purchase. 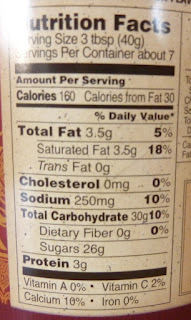 Looks like this can sports seven servings per container. Apparently it's a limited edition and TJ's no longer stocks it: as of 2/18, it retails on Amazon for $15/can (about $2.15/serving). 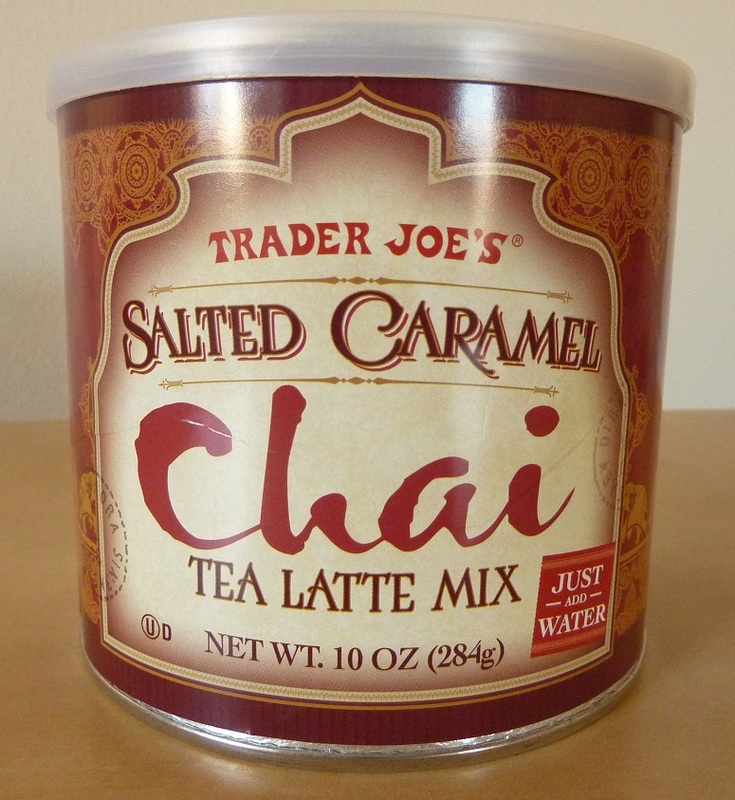 This is my favorite Chai tea. I love it with water, but have never tried it milk. A true cup of comfort. Too bad it's seasonal at TJs.